A part-time worker at a bungee jumping facility in Gapyeong, Gyeonggi Province, drowned on Monday. Gapyeong Police Station said Tuesday that the 20-year-old employee was found unconscious in the water at the site located in Seorak-myeon, Gapyeong around 2 p.m. on Monday. He was taken to a local hospital, where he was declared dead. 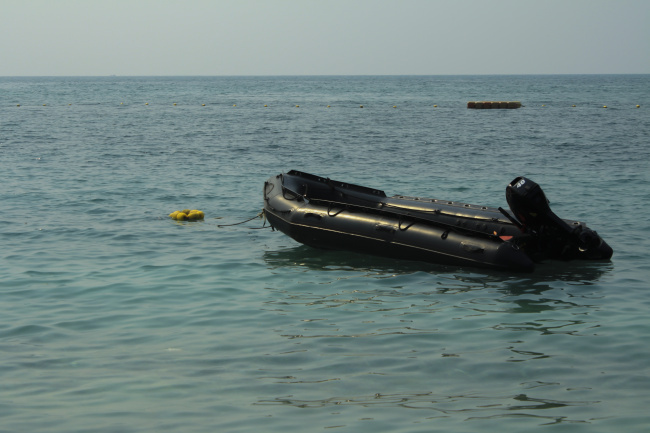 It seems the part-timer lost his balance on an inflatable boat and fell into the water, according to the CCTV footage. Although his coworkers called the emergency services upon finding the boat afloat without him, it was too late. Police are looking into the details of the accident with the help of witnesses.